Not everyone enjoys a ‘stop and flop’ type of holiday. Here are five ways to eat, play and stay around the NSW South Coast. Pam Burridge is the 1990 ASP World Champion. And to get a private lesson with the surfing legend near to her home town of Mollymook is every surfer’s dream. While the former pro surfer and her team at Pam Burridge Surf School mainly help beginners learn how to catch waves, they are also available for private lessons to teach intermediates how to “break bad habits or get to the next level”. Experienced surfers will love tapping into Burridge’s local knowledge of breaks such as Dum Dums, Golfies, Bommie and Bawley Point. Burridge also hosts surf retreats aimed at like-minded mates who want to learn surf safety, paddling and board handling during a low-key weekend away. 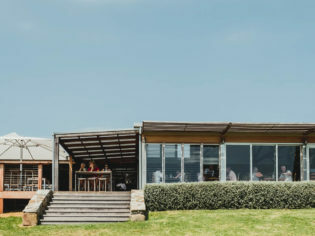 Take a behind-the-scenes ‘Tour + Taste’ of Cupitt’s Winery where 100 per cent of the fruit, vegetables, flowers and herbs grown onsite feature on the menu at Cupitt’s Kitchen. This restaurant is one of the South Coast’s worst-kept secrets: chef Russell Chin trained under Michel Roux, who has maintained three Michelin stars for more than 25 years in the UK. After visiting the onsite winery, brewery and fromagerie, cosy up in the convivial dining room to enjoy pan-fried barramundi fillet with snow peas and sorrel Champagne oyster emulsion. Those who adore wolfing down oysters should head to the Shoalhaven, which signals the start of Australia’s Oyster Coast. Plug Jim Wild’s Oysters into the sat nav and take a drive out to Greenwell Point to chat with Wild who was named as the world’s fastest oyster shucker in 1984. While Wild, now in his 60s, may no longer be able to open 30 oysters in two minutes, his shucking skills remain strong. The farmer, who made a cameo on a MasterChef shucking challenge on the Network Ten cooking show, urges visitors to his rustic oyster shack to order oysters unshucked and learn a new life skill. Look out for the bloke wearing a loud Hawaiian shirt and ask him to help you shuck a cheeky dozen of his award-winning Greenwell Point oysters. Down a dozen rock oysters as your entrée at Jim Wild’s Oysters and then enjoy a half-dozen more when you sit down to lunch or dinner at brilliant Bangalay Dining. Here, the rock oysters are served with a mignonette dressing. Stick with the oyster theme and order a seafood platter to share, which features myrtle-cured salmon, honey bugs, crisp whitebait, cuttlefish, smoked kingfish rillette, pickles, crispbread, condiments and oysters in all their briny glory. There’s nothing like getting your downward dog on barefoot on the grass and with a sea breeze to boot. BYO yoga mat to the ocean pool in Huskisson at 8.30am on a Saturday morning and salute the sun with like-minded yogis along the shores of Jervis Bay. Taking your practise outdoors with South Coast Soul Yoga ensures you see some of the stunning South Coast scenery at the same time. The classes are set to a soundtrack of naturally crashing surf and screeching parrots. This is exactly the kind of holiday activity designed to make you chill and take some mental downtime. After an hour’s detox, the place to refuel has to be Pilgrim’s Vegetarian Cafe. Invite your yoga class – consisting of barefoot dudes with beards and women wearing an eye-watering amount of patchouli – to meet you at the Huskisson caff for a ‘Millennium’ burger. The burger, which comprises a curry lentil patty on squidgy buns layered with avocado, sprouts, beetroot and fried onion, knocks it out of the Husky Park every time. On any given day, you will find Mason Keane gently paddling along the mouth of Jervis Bay past the sandy shoreline that hugs the coast. Keane, who has been paddle-boarding for about a decade, points to a pod of dolphins in the distance as he invites us to join him in this water-based activity designed to keep the body and mind balanced and healthy. As a former school teacher, Keane loves taking children away from their devices and aims to inspire a deepening appreciation for the natural environment. Highly recommended is the Indigenous Perspectives Cultural Tour with Raymond Timbery, a former student of Keane’s, whose narrative has been passed down through words, art and song from his elders of the Bidjigal clan in the Eora Nation. The Milk Haus is a 45-minute drive from Jervis Bay and well worth the trip. 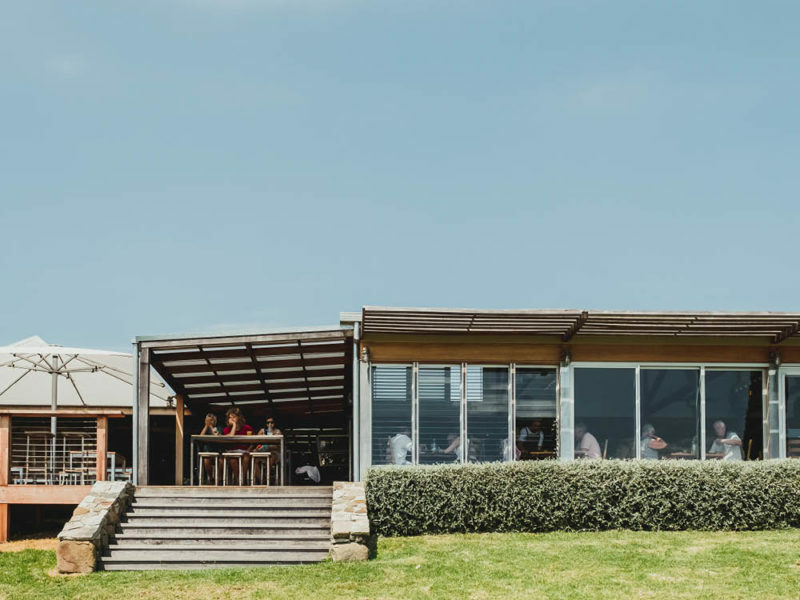 The wholefoods cafe, located in the old Cheese Factory at Woodstock, will keep you on the straight and narrow with fresh honest simple fare prepared using local, seasonal ingredients. The menu reads like a love letter to the land: order fresh zucchini and peach salad with mixed herbs or the popular Ploughman’s plate. Visiting a local farmers’ market while on holiday should be on everyone’s to-do list. Markets are a year-round attraction and about much more than just filling your basket with goodies. If you have access to a kitchen at your accommodation, you can pick and choose the best the region has to offer from the Kiama Farmers’ Market, every Wednesday from 3-6pm. The market, held at Surf Beach, features top-notch stallholders such as Buena Vista Farm, Cupitt’s Winery and Pecora Dairy. While in Kiama, a visit to the Blowhole is compulsory. The fact The Hungry Monkey serves White Horse Coffee is a fairly good indicator it cares about its customers. Break your New Year’s Resolution in style by diving headfirst into a carb coma with the Southern fried chicken burger with red cabbage, Monterey Jack cheese, jalapenos and monkey hot sauce. Seal the deal with a long black over ice and resolve to get back on your health kick with a super salad next time you’re in the ‘hood.